Buy The Graduate Survival Guide today. It's the perfect graduation gift! Hey, parents of teens headed to college: Your baby’s about to become an adult! Well, maybe that’s a tad dramatic. They’re a long way from babyhood (though they’re still your baby, right?). And they’re probably still a long way from fully independent adulthood, too. Most college students depend on their parents for a lot. But the financial decisions your teen makes in the four years after high school can affect the rest of their lives! That’s why it’s important that they practice making mature financial decisions while they still have a parental safety net. It empowers them to learn from their mistakes while the stakes are relatively low, rather than paying for bigger mistakes later—and suffering the consequences for years to come. To set them up for success, here are 12 money lessons teens need to hear before they head off to college—because it’s way easier to avoid making mistakes in the first place than to learn these lessons the hard way. "...the first step to winning..."
Making a plan for your money is the first step to winning with it. A budget tells you how much is coming in, how much is going out, and where you’re spending it. But most college students—and, unfortunately, many grown adults—don’t know how to budget. It’s up to you to teach your teen. Give your teen a reality check. What’s the average income for an entry-level position in their field of choice? How much is food, housing, insurance and transportation in their area? How much would they pay toward their loans monthly? Run the numbers with them to give them a realistic understanding of what life will look like with a small salary and lots of debt. Life is expensive, and debt makes it even more so! Encourage your teen to explore other options for paying for college, like scholarships, grants or working a part-time job. If your teen doesn’t have their own bank account already, help them open one in their name and teach them how to monitor activity and use it properly. They should know how to deposit and withdraw money and transfer some to savings. They should also know what overdrafts are and how to prevent them. If their account comes with checks and a debit card, show them how to use those, too. The rule is simple: If your teen makes less than $20,000, they’ll need $500 cash in their starter emergency fund tucked safely into a savings account. (The fund increases to $1,000 over that threshold.) That’s enough to cover the most common college-student emergencies without going into debt. "Prepare them for the fight..."
As soon as your newly graduated teen arrives on campus, they’ll probably be tempted around every corner to apply for a credit card in exchange for a free T-shirt or food—gold to college students. Prepare them for the fight and teach them that all plastic is not created equal. Debit cards work just like cash. They usually come as part of that nifty bank account they opened, and you can only spend what’s in your account. Once the money’s gone, it’s gone. Credit cards loan you money each time you swipe. They encourage you to overspend, and then you have to pay that money back with interest. It’s easy to get in over your head fast with credit cards—especially if you’re a college student with a small paycheck, little knowledge of how debt works, and the desire to keep up with your friends. Stick with debit cards. Your teen doesn’t need to be an investing pro, but they do need to have a basic understanding of the power of compound interest, and of the benefits of investing at a young age—even if it’s not much. There’s no amount too small to invest, and it’s never too early to start. 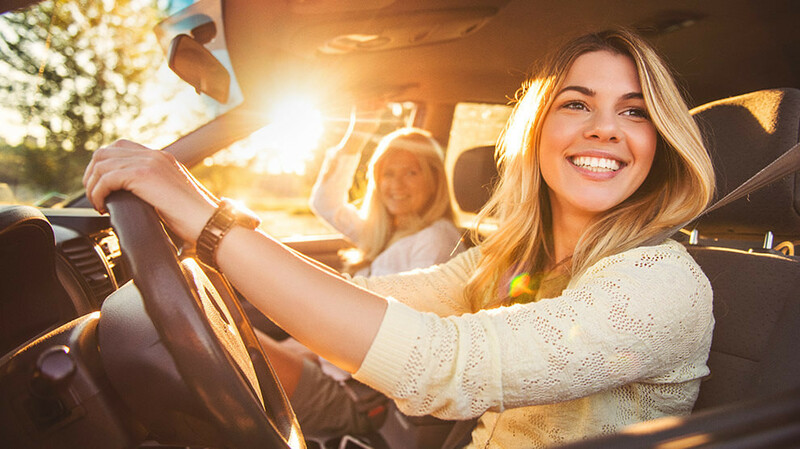 Insurance may not be how any teen wants to spend their money, but it’s necessary—and if something does happen, they’ll be grateful they had it. Most college students need three kinds: renter’s (if they live off campus), auto (if they drive a car), and heath. "They shouldn’t be afraid to walk away..."
Negotiating is a valuable life skill, and one that not everyone has. But it can save your teen thousands of dollars over their lifetime. Almost everything is negotiable, especially the big-ticket items, like houses, vehicles, furniture and electronics. Encourage your teen to ask for a discount, inquire about coupons or sales, or offer a lower price. They shouldn’t be afraid to walk away if necessary. The right item will be out there for them, at the price that fits into their budget. Paying bills may seem simple if you’ve been doing it for decades, but if your teen has never received a bill of their own, it’s worth explaining the ins and outs. Show them the different ways to pay—online, over the phone, by mail or by setting up automatic bill pay through that new bank account of theirs. Don’t forget to explain how late fees work—and how to avoid them! Debit cards may be convenient, but cash is still king. Wave a stack of bills in the salesperson’s face, and they’re likely to receive a better deal than if they whip out the plastic. They’ll also likely spend less using cash, because they can see and feel the reality of the transaction—they’re actually giving up their hard-earned money! Encourage your teen to use cash whenever possible. Generosity starts young. If your teen begins giving some of their money as a young adult, they’re more likely to give as they grow older and earn more. If you haven’t already, model the act of giving by showing them how much fun it can be, and encourage them to give away some of what they earn. A good rule of thumb is 10 percent. They can give in other ways, too. Encourage them to give their time and their talents by serving others through volunteer opportunities in their community. "...money comes from one place..."
If your teen has looked to you for all their spending money in the past, college might be the first time they set out to earn some of their own. So make sure they understand that money comes from one place: work. According to a study by Georgetown University, about 70 percent of college students work while in school. (2) It’s possible! Not only will a job teach your teen valuable life skills—like responsibility and the connection between work and pay—but if they find work in the field they’re interested in, it’ll give them a leg up when they graduate and seek full time employment. Other options? Make and sell crafts, apply for scholarships, seek out work-study programs, do odd jobs, complete online surveys or market research studies for cash, or offer tutoring. If your teen is wise with their money in college, they’ll set themselves up for a lifetime of financial success. They won’t be paying for their money mistakes for decades. Instead, they’ll have the freedom to answer God’s call for every aspect of their lives. Money will become a tool for them, not a problem. And what parent wouldn’t want that for their kid? In The Graduate Survival Guide, Anthony ONeal and Rachel Cruze identify five mistakes to avoid making in college. Pick up a copy today to teach high school graduates how to win with money, both now and in the future.